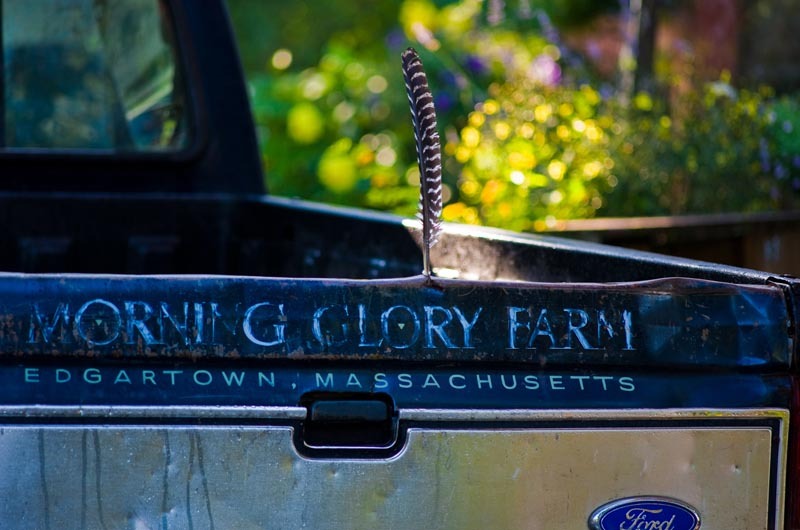 Second cookbook for Morning Glory Farm continues tale of farming family. It was a recipe that could melt any parent’s heart. Start with six ingredients — tomatoes, sea salt, extra virgin olive oil, unfiltered apple cider vinegar, raw honey and Dijon mustard. Add a sprinkle of salt to the cherry and grape tomatoes, whisk together the wet ingredients, and leave for an hour to marinate. Then, hollow out some large tomatoes like a pumpkin, stuff the small tomatoes inside and ta-da! you have the Athearn family’s recipe for Serenaded Tomatoes. “It was a staple in our house when the kids were small,” said Jim Athearn, owner of Morning Glory Farm. The Athearn’s recipe for Serenaded Tomatoes can be found in Morning Glory’s new book Farm Food: Stories from the Fields, Recipes from the Kitchen. This is the Edgartown farm’s second — and latest — cookbook. The collection of recipes is illustrated once again with photographs by Alison Shaw. The book is written by Gabrielle Redner, a private chef and restaurant cook with Island roots. While doing research for the book, she did what anyone would do to learn more about Morning Glory Farm: “she walked around the farm and gathered stories from all of us to give the reader some background and a fuller knowledge of the food,” Mr. Athearn said. The cooking part of the book is credited to the head of the Morning Glory kitchen, Robert Lionette. The book is organized seasonally by crop with every recipe developed and tested by Mr. Lionette. But perhaps the most sacred part of the book is the helpful chef’s notes that appear throughout the pages, such as why it is never okay to substitute boneless, skinless chicken breasts for a dish that calls for a whole chicken (it’ll dry out the meat). Island cookbook authors Catherine Walthers and Susie Middleton contributed recipes, too. The two women are what one might call veggie-obsessed chefs, which is fitting because vegetables drive the book. “In this book the vegetables are the stars themselves,” Mr. Athearn said. But the way Mr. Athearn tells it, he never thought creating this book was something that was, well, needed. To share recipes that can be used not just for Morning Glory’s food, but food from any farm “seemed to me to be common sense, but I was advised otherwise,” he said. The dozen or so main crops that the family grows and sells that are highlighted in the book — tomatoes, corn, greens, pumpkins, strawberries, to name a few — share a story of a successful Island farm with a history as sweet and succulent as ripe summer tomatoes. And farmers know, as the book reveals, that it isn’t easy growing delicious tomatoes. The journey a single tomato takes from seed to stomach is much like the story of starting a farm and maintaining it. It’s difficult work. Today, 30 years later, Mr. Athearn’s children and grandchildren work the fields like he once did, which has now expanded to 120 acres of arable land. The farm has also produced two cookbooks. And he employs so many people now that he can’t remember the number off-hand. On any typical summer afternoon at the farm, the picnic tables are filled with people eating lunch, while inside the farmstand customers shop for produce and perhaps buy a cookbook or two. In the fields, workers of all ages plant, nurture and harvest the crops. And what does Mr. Athearn have to say about this scene? “Yeah. I’m a farmer,” he admitted. Now that’s something worth serenading. 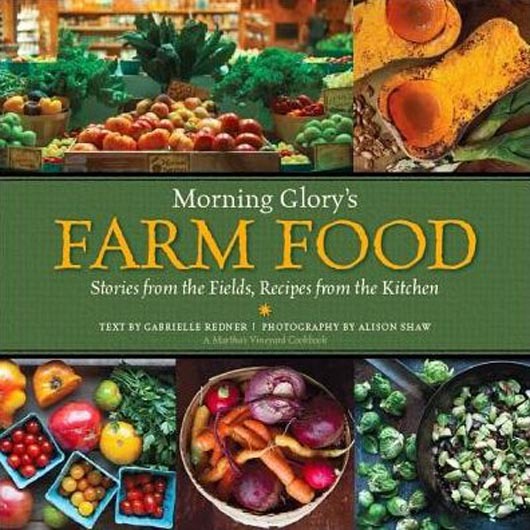 There will be a book signing for Farm Food: Stories from the Fields, Recipes from the Kitchen on Tuesday, July 29, from 4 to 6 p.m. at Morning Glory Farm. I find it interesting that raw honey is an ingredient to their tomato recipe, especially with their willingness to spray bee killing poisons on their crops. But I guess you won't read about that in this article. "Dedication to being a farmer" does not equal being a conscientious steward of the earth. I respectfully ask when will the Vineyard Gazette write the real story consumers deserve? Consumers do deserve to know what is in their food. Naming the chemicals used on the farm would be a good place to begin. Circumventing the issue and refusing to name the pesticides, herbicides, fungicides and seed sources is a suspicious policy. Is it bt corn? We don't even know that. Of course they don't use BT corn, you can't even buy BT sweet corn, or GMO seed, as a small farmer, and they would not use it if you could. This family is working hard! Can't wait to get my copy when we come to the Vineyard in the Fall...I loved the last book, I'm certain this one's just as awesome! Its a staple in our inn's kitchen when we're missing MV and great for clean seasonal cooking inspiration!